In case you haven’t heard (or watched the pregnancy announcement/gender reveal video), we are expecting a baby boy! We are over the moon excited about welcoming a son. We found the gender out on Tuesday, and the firs thing I wanted to do-aside from announcing the news to everyone-was shop! 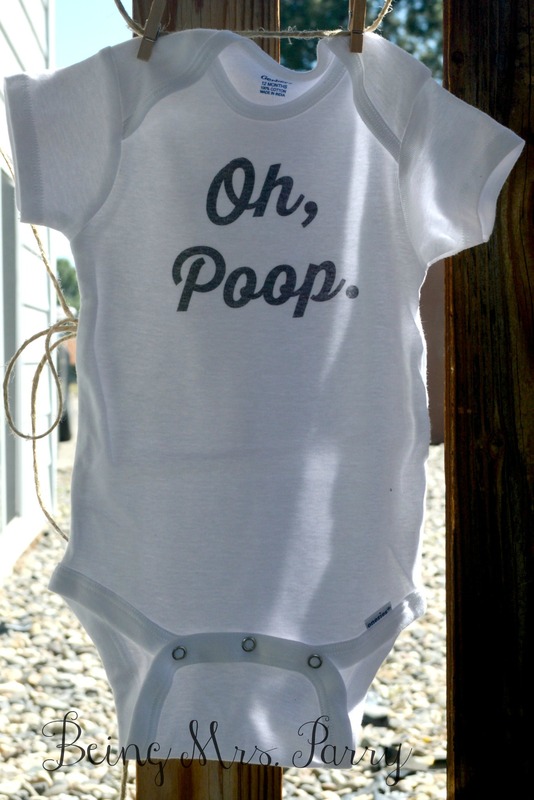 But, of course, baby things can be costly. 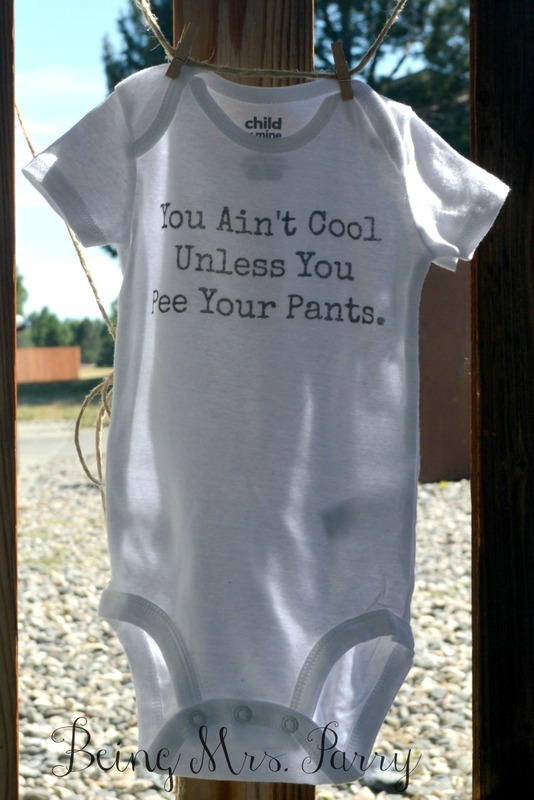 Especially when the baby things you so desire are from Etsy, Pinterest, and/or baby boutiques that all sell super unique stuff! I’m sure many many people can relate to the plethora of Pins that is my baby board on Pinterest…and relate to the non-plethora (that’s a word, right?) of money available to spend on fun baby things at the moment. So, I had to cage the monster that is my desire to impulsively buy anything and everything I want for my little boy, and had a better idea: make it! Instead of spending loads of money on all the cute little outfits and baby goodies I want to buy, I will be attempting to recreate them and make them specially for my little Parrywinkle. Yesterday, I went to Hobby Lobby (THEY HAVE ONE HERE!! Can I get a Hallelujah?!) and bought some iron-on transfer paper for $5.99, then went to Walmart and got a pack of 4 12-month onesies for 5 bucks and a pack of 3 3-6-month onesies for $7.99. That’s a total of less that $20 to make 7 onesies of my own! 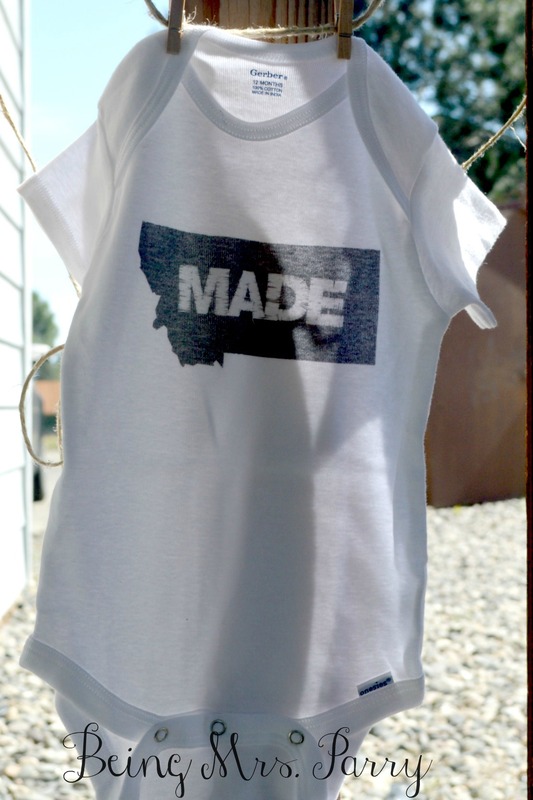 I browsed through my Pinterest boards for inspiration, then got to work and designed my own graphic layouts to print and iron on to my onesies. And that’s it. Seriously, that’s it! Such an easy DIY project that takes so little time! Look at how fun these are! DESIGN-if you are savvy with graphic design, then feel free to design your own images! If not, there are great resources to find free images online. I used Free Vintage Vectors and Behance for a lot of the images that I printed. Both have search bars that you can use to search specific images, and categories that you can browse. Pinterest also has a lot of links that you can use to find free printable images. Once you find an image that you like, save it to your computer. Once you have the image saved to your computer, decide whether or not you would like to change it at all. If you want to crop the image, add a frame, or words, open the image in a photo editing software or site, and do so. I use the Design link on Picmonkey for pretty much every project that involves editing images. There, you can add graphics, frames, shapes, words, etc. and you can crop the image. IMPORTANT!! If your image does have writing on it, you will need to “flip” the image horizontally so that when you iron the image, it is going in the correct direction. 2. PRINT-Once your image is exactly the way you want it (remember, if the image has writing in it or if the image needs to face a certain direction, FLIP IT so that it will be facing the correct way when it is ironed down! ), you’re ready to print it! Now, there are a few ways to do this. I use a computer that has Windows, so I like printing my images from Microsoft Word. 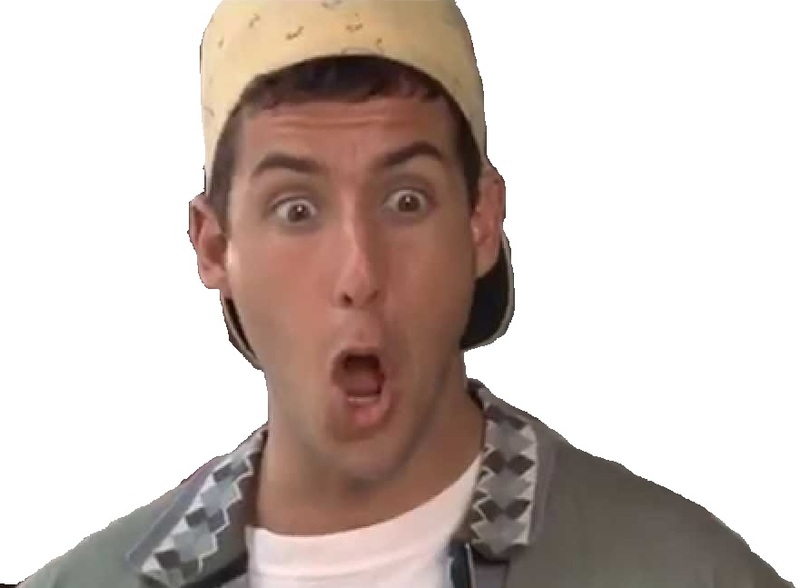 To do this, I open a new Word document, click “insert”, then “picture” and add the image I want to print. From Word, you can crop, add filters to, flip, and add minor edits to the image. If your image needs to be flipped and you forgot to do so, here is your last chance. DOUBLE CHECK that your image is the way it needs to be, then size it according to how large/small you would like the image to be when it is printed. Once it’s the right size, you are ready to print it! Note that the writing is backwards. Before pressing “Print”, follow the directions for your transfer paper. The side that the image is printed on does matter. Once the paper is loaded correctly, “Print” your image! 3. TRANSFER-Now, your printed image should look just the way it did on the computer and should be printed on the correct side of the transfer paper. It doesn’t hurt to double check! I printed it on the wrong side at first… If the printed image is the way you want it, you’re ready to transfer (iron) the image! Make sure your onesie is ironed nice and neat before attempting to iron the image on. 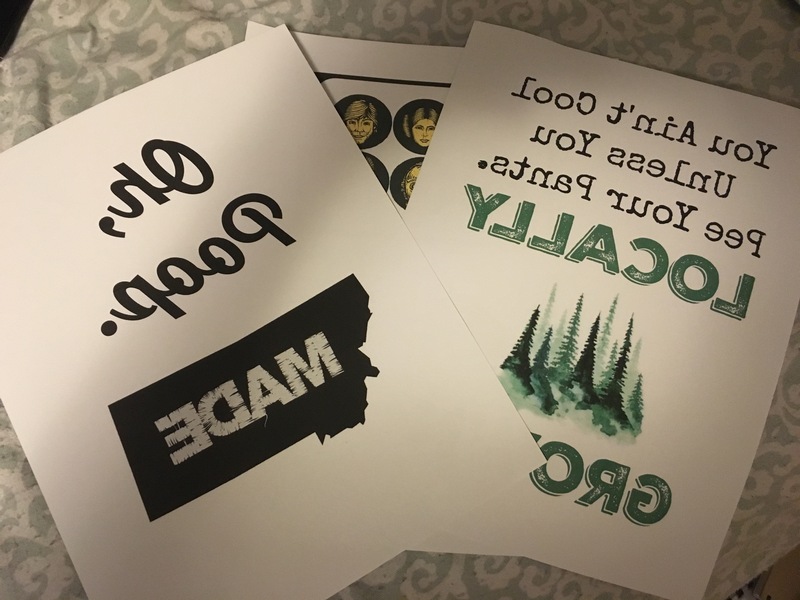 In my opinion, the iron-on transfers look best when you cut around the image, rather than ironing on an entire sheet of transfer paper. This is optional, but you can use your scissors to cut the image out and then discard the excess transfer paper. Another optional material is a ruler or another tool that can help indicate a straight line for you to reference when placing your image. Whether or not you choose to use one is entirely up to you! 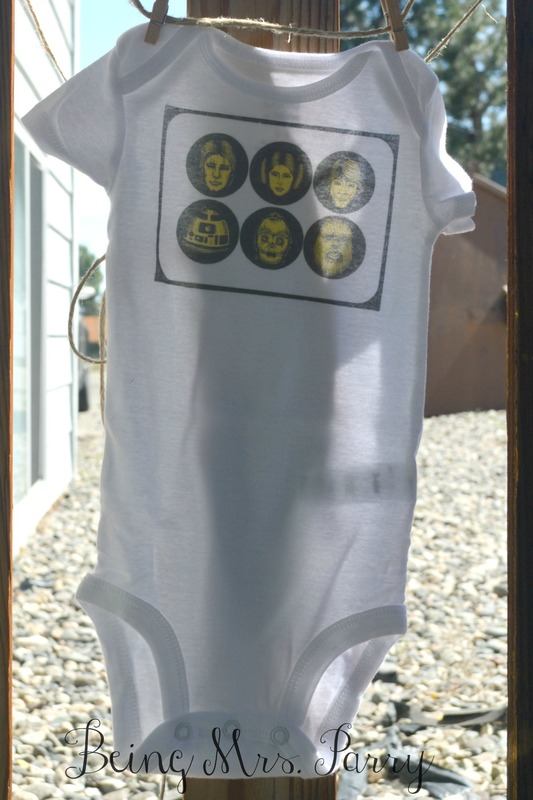 Now, place the image where you would like it to be on the onesie, place the image face-down on the onesie, then follow the ironing directions that the instructions to your transfer paper explain. Mine said to iron over the back of the image for 2-3 minutes in a circular motion from side to side, then carefully lift the paper away from the fabric where there should now be an ironed-on image. Allow the transfer to cool, and then you are done! I hope this tutorial was easy to follow without a ton of pictures. I got a little too excited and failed to take many while I was making my onesies. I will definitely be making more soon, though, so pictures will be added! 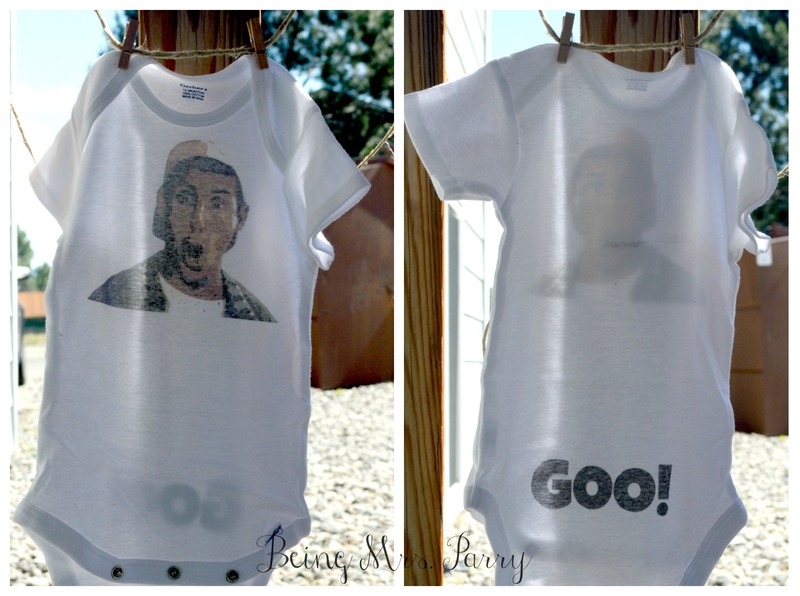 A Billy Madison inspired onesie! 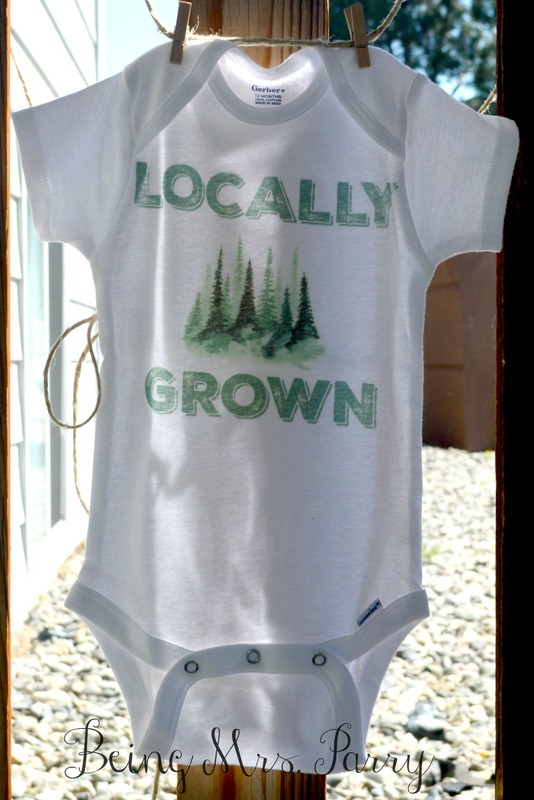 For those of you who have never seen the movie, click here to watch the clip that inspired this onesie! 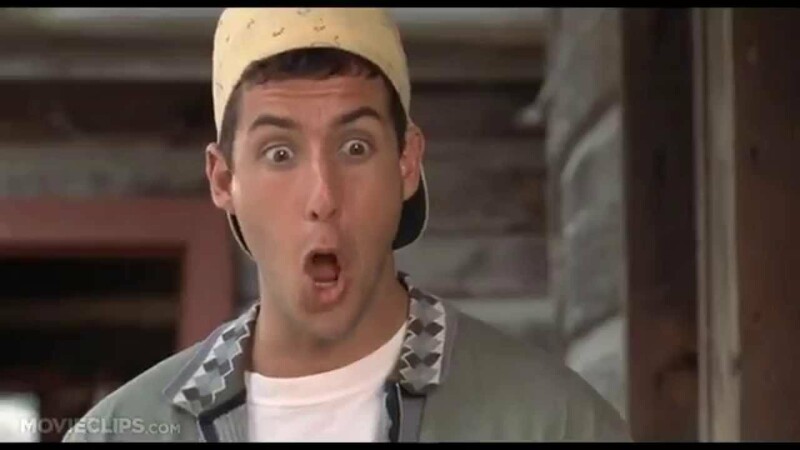 The front has Billy Madison (Adam Sandler), and on the bottom of the back is the word “goo!” (in other words, ew!). I laughed so hard when making this!! It did take a little extra work, as I saved an online image of Billy, then edited it. 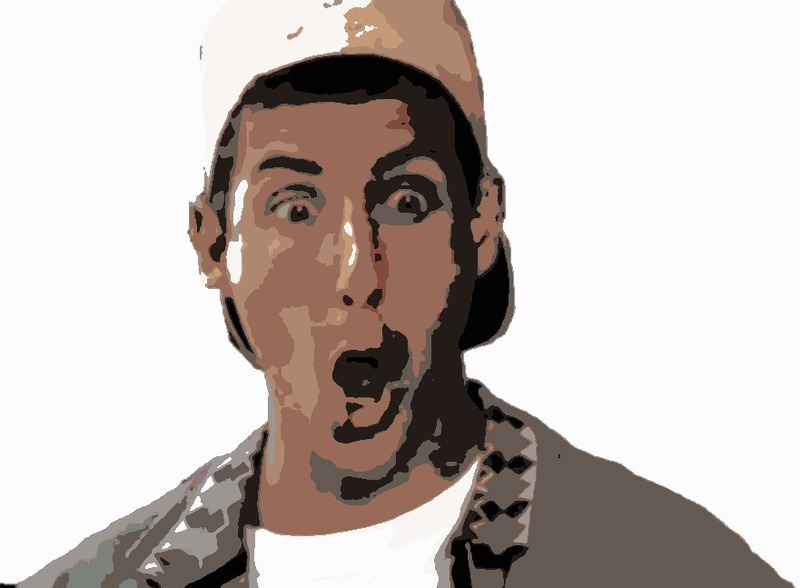 I cropped the background out, then “posterized” the image in Picmonkey to make it appear more animated than lifelike. I hope you all enjoy getting creative with baby projects! 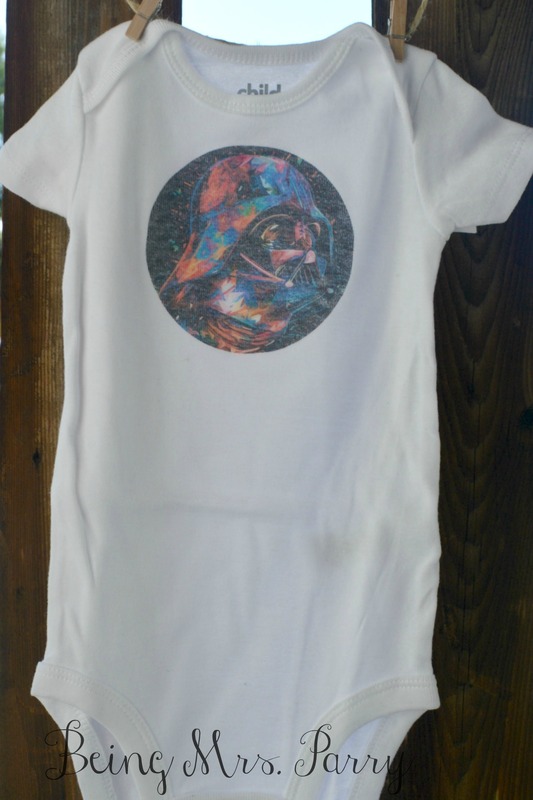 This tutorial can also be used for any other fabric that you desire to transfer an image to! As always, thank you so much for reading and God bless.